As the holiday season approaches, you will want to do something nice for your employees and their families as well as your vendors, customers and others with whom you have done business over the year. A great way to express the joy of the season and to have an excuse to get everyone together is to throw a corporate party. When you are planning a party for your business, it’s important to pay close attention to all the details of the event, including the holiday business invitations. You see your employees every day, but you may only get to see their families on special occasions. 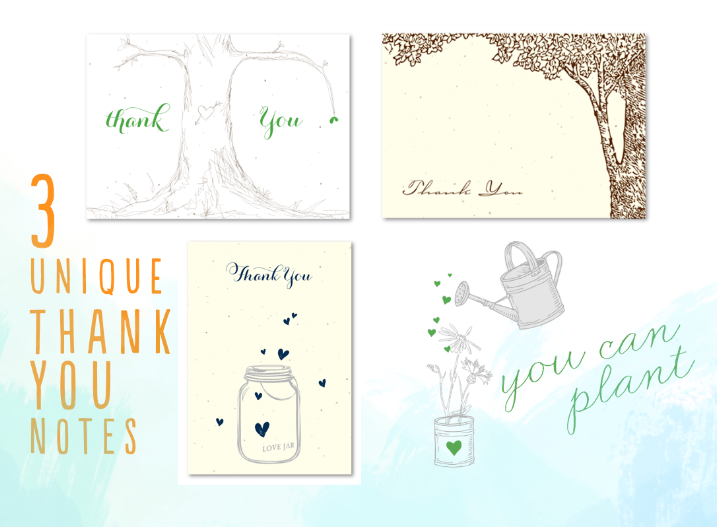 If you want to show your appreciation to your workers, as well as express thanks to your favorite vendors and customers, holiday business invitations are a great way to get the ball rolling. Businesses that pride themselves on efficiency and speed typically enforce rules about using email preferentially over printed mail whenever possible. Some companies may find it expedient to use email and to send out holiday e-cards when they want to announce their big party. 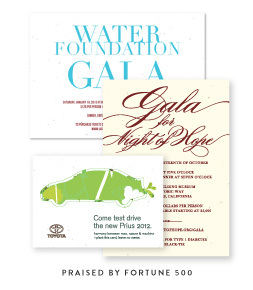 However, there are many reasons why an email invitation won’t make the same impression as a printed invitation. For one, your email may fade into obscurity among all the other hundreds or even thousands of email messages cluttering your recipients’ inboxes. There is even a possibility that your holiday invitation might get funneled into the recipient’s spam folder, which would be quite a shame if your invitee really would have liked to attend. An email can also seem a bit too casual. After all, it doesn’t take much effort to write a simple message and blast it out to everyone on your company’s email list. However, if you take the time to get your invitations printed with customized text and images, it will show your recipients that your company cares enough about its employees, vendors and customers to go the extra mile. A printed invitation is also harder to ignore. While you can simply hit the “delete” key to get rid of emailed holiday business invitations, you have to actually toss an object into a real recycling or trash bin to get rid of a nicely printed invitation. 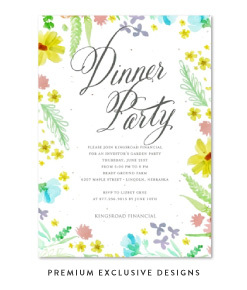 Make sure to leave yourself sufficient time to pick out the style of invitation you want to use so they can be designed, printed and sent out to your recipients. Discover Green Business Print holiday business invitations. Hey New Belgium Brewing, we can't get enough of your beers! The winter ale is tasty! 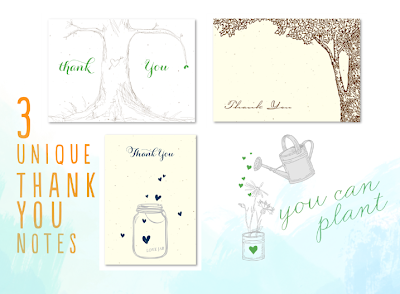 Holiday party invitations you can plant!